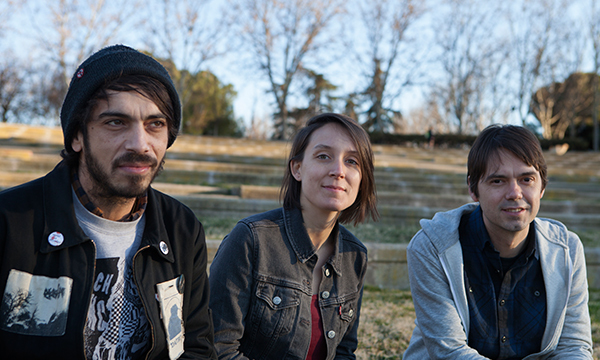 The Madrid based power-trio have spent the last two years touring to support their 2016 album “Basements: Music to fight hypocrisy.” Fon, Paula, and Jamie definitely don’t suffer a lack of energy, and Jamie has proven his natural talent for creating guitar riffs and melodies that go straight to the heart. The latest demonstration of Wild Animal’s hyperactivity is “The Hoax” (2018). The album is a toast to friendship: the songs explore nostalgia and critique technology-induced isolation through the band members’ personal and shared experiences. Musically, echoes of Superchunk, Sugar and Dinosaur Jr. are still present, but their own sound stands out now, more and more cultivated, as dirty as it is crystalline.